Designed for small to medium size tractors. 3 No. 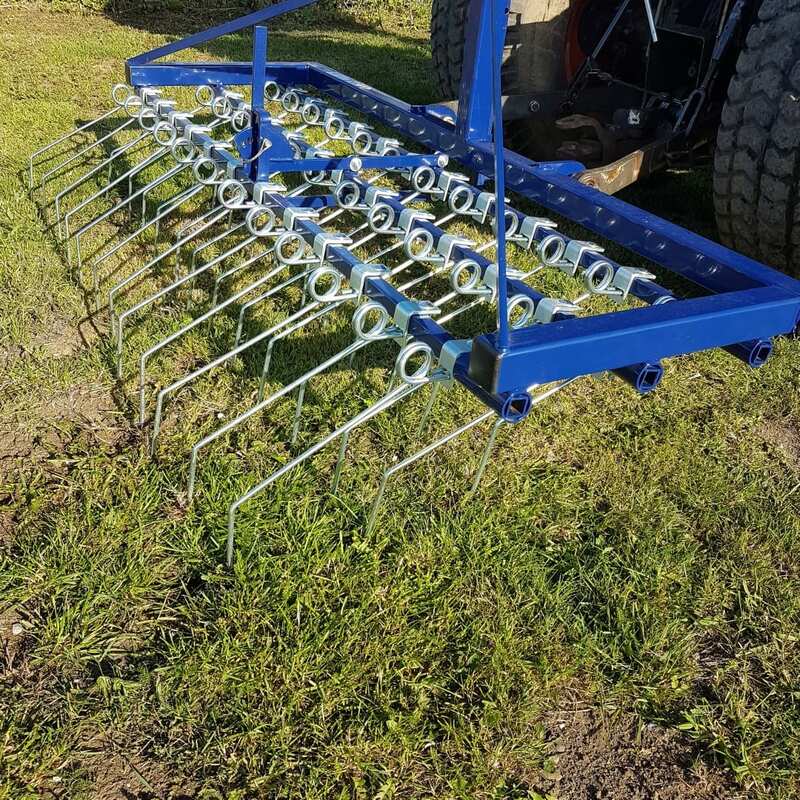 Rows of heavy duty Spring Tines. 3 No. 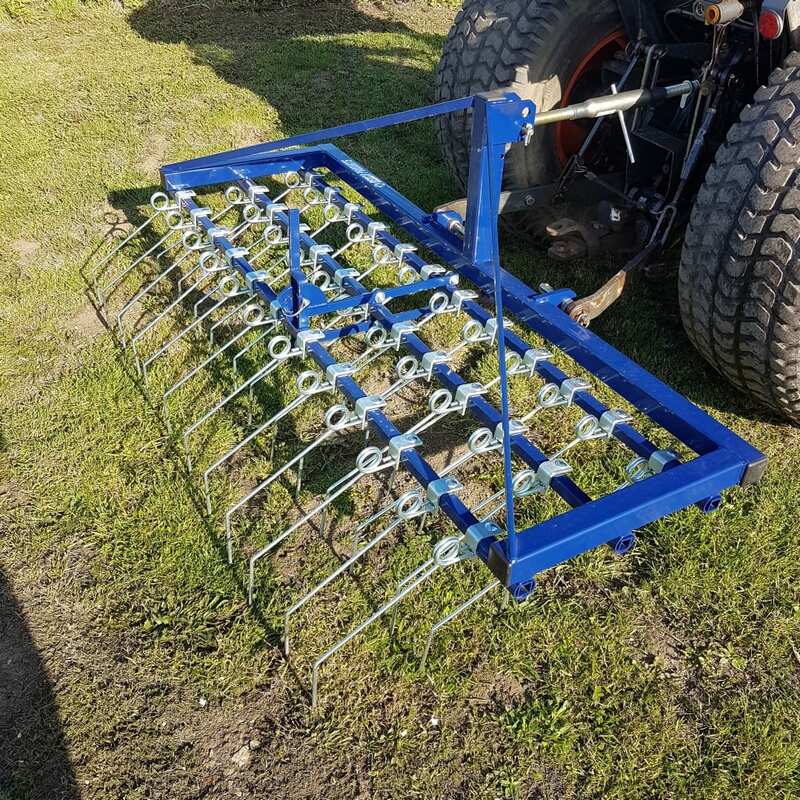 Adjustable settings for light or aggressive de-thatching of dead grass. 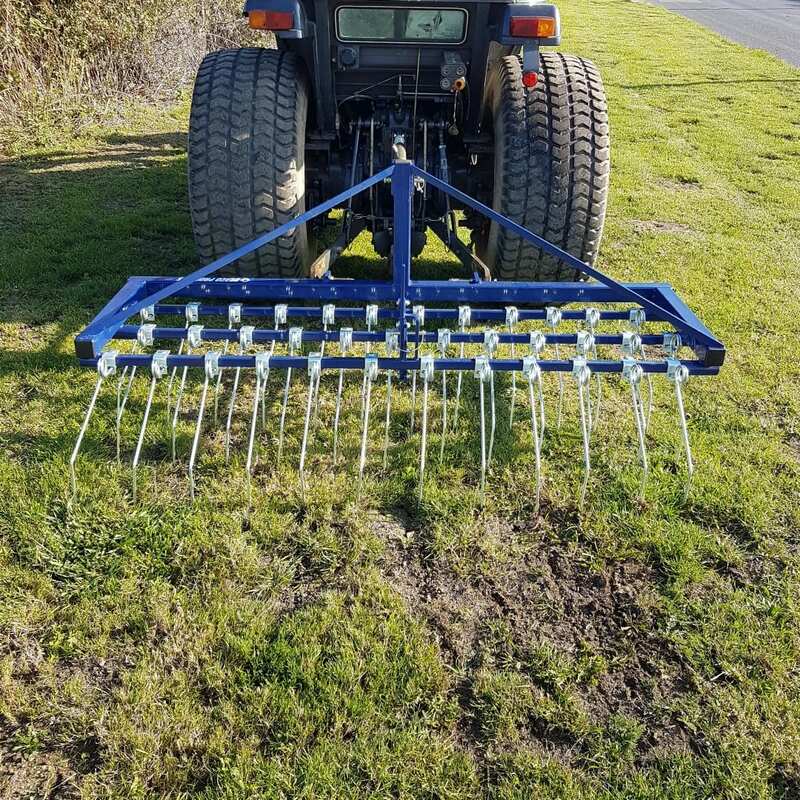 Ideal for rejuvenating grassland/ levelling and seeding. Price £ 595 + vat.